☆ Thur. Dec. 31 – The Zimmer’s End of the Year House Party with Sugarcane Jane, Laci Wright, Lauren Kay and Eric Erdman @ House Party on Mobile Bay, AL. – Jimmy Lee Hannaford @ The Shed in Ocean Springs, MS.
– Blackwater Brass @ The Government Street Grocery in Ocean Springs, MS.
☆ Wed. Dec. 23 – Gram Rea @ Leo’s in Ocean Springs, MS.
☆ Sun. Dec. 20 – China Cat Orchestra’s 10th Anniversary Show at Irish Coast Pub in Gulfport, MS.
☆ Sat. 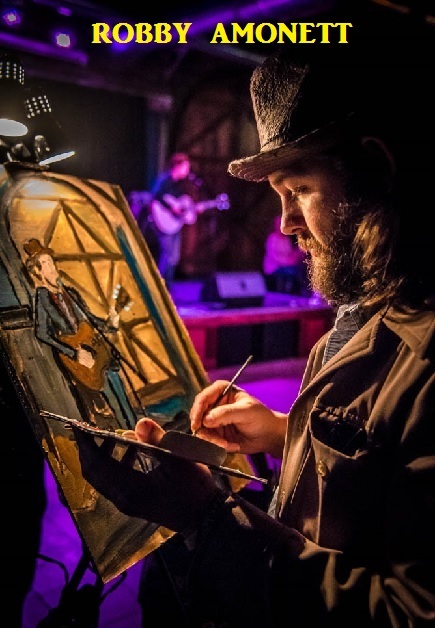 Dec. 19 – Wes Lee @ The Listening Room in Mobile, AL. – Edward David Anderson @ Jack’s by the Tracks in Pascagoula, MS.
– Young Valley @ The Government Street Grocery in Ocean Springs, MS.
☆ Mon. Dec. 14 – The Monday Night Jam Session @ Ben Kaufman’s Irish Coast Pub in Gulfport, MS. (Hosted by Diggs Darcey). – Levi Parham @ Callaghan’s in Mobile, AL. ☆ Sat. Dec. 12 – Grayson Capps with Corky Hughes @ Callaghan’s in Mobile, AL. ☆ Fri. Dec. 11 – Edward David Anderson @ The Shed in Ocean Springs, MS.
– James Brothers @ The Dock in Gulfport, MS.
– Tim Kinsley & Holli Mosely @ Jack’s by the Jacks in Pascagoula, MS.
– Gram & Ty @ Leo’s in Ocean Springs, MS.
☆ Mon. Dec. 7 – The Monday Night Jam Session @ Ben Kaufman’s Irish Coast Pub in Gulfport, MS. (Hosted by Diggs Darcey). ☆ Sat. Dec. 5 – Pokey Lafarge w/ The Deslondes @ The Merry Widow in Mobile, AL. 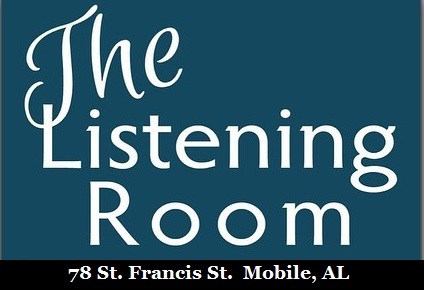 – Lauren Kay @ The Listening Room in Mobile, AL. – Strangled Darlings (visited with them prior to show). – Debauche @ The Juke Joint in Ocean Springs, MS.
☆ Thur. Dec. 3 – Robert Joseph @ The Julep Room in Ocean Springs, MS.
☆ Wed. Dec. 2 – Open Jam with Steve Warren & Friends @ Murky Waters in Ocean Springs, MS.
– Strangled Darlings @ The Julep Room in Ocean Springs, MS.
– Della Memoria @ The Government Street Grocery in Ocean Springs, MS.
– Truitt Williams Band @ Jack’s by the Tracks in Pascagoula, MS.
– Della Memoria @ The Julep Room in Ocean Springs, MS.
☆ Wed. Nov. 25 – Fat Man Squeeze @ Jack’s by the Tracks in Pascagoula, MS.
– Lisa Mills @ Murky Waters in Ocean Springs, MS.
– Party at The Moontower @ The Juke Joint in Ocean Springs, MS.
– Corey Rezner @ The Listening Room in Mobile, AL. – The Stoop Kids @ The Government Street Grocery in Ocean Springs, MS (Late show). 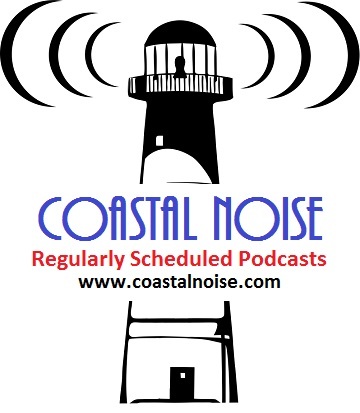 – Johnny Sansone w/ John Fohl @ Murky Waters in Ocean Springs, MS.
– Wes Lee & Stefan Lawson “Coastal Noise Live Podcast | Interview with Wes Lee and performance @ The Shed BBQ & Blues Joint in Ocean Springs, MS aka Hwy 57 & I-10 Crossroads. – Cole ‘n Keef @ The Government Street Grocery in. Ocean Springs, MS.
– Champion Club @ The Juke Joint in Ocean Springs, MS.
☆ Sat. Oct. 31 – Dave & Phil Alvin with the Guilty Ones @ Birchmere in Alexandria, VA.
☆ Thur.Oct. 29 – Ashley Monroe @ Sixth & I Historic Synagogue in Washington, DC. ☆ Wed. Oct. 28 – Garbage @ 9:30 Club in Washington, DC. ☆ Tues. Oct. 27 – UB40 – 9:30 Club in Washington, DC. ☆ Mon. Oct. 26 – Josh Ritter @ Lincoln Theatre in Washington, DC. ☆ Oct. 24 – Nov. 7 Mid-Autumn Tour 2015. ☆ Wed. Oct. 21 – Rob Thomas @ Seanger Theatre in Mobile, AL. – James Brothers @ Irish Coast Pub in Gulfport, MS.
– The Monday Night Jam Session @ Ben Kaufman’s Irish Coast Pub in Gulfport, MS. (Hosted by Diggs Darcey). ☆ Fri. Oct. 16 – Grayson Capps & Corky Hughes @ The Shed in Ocean Springs, MS.
☆ Thur. Oct. 15 – Jackson Browne w/ Larry Campbell & Teresa Williams @ Saenger Theatre in New Orleans, LA. ☆ Wed. Oct. 14 – Joe Jackson @ Joy Theatre in New Orleans, LA. ☆ Tues. Oct. 13 – Laci Wright – CD Release Party for “Tryin’ to Get it Right” @ Veets in Mobile, AL. ☆ Sun. Oct. 11 – Maggie Koerner @ Callaghan’s in Mobile, AL. ☆ Fri. Oct. 9 – Kacey Musgraves w/ Humming House @ Howlin’ Wolf in New Orleans, LA. ☆ Thur. Oct. 8 – John Calvin Abney | Levi Parham @ Callaghan’s in Mobile, AL. – Eddie Dixon & Stefan Lawson (A Goodbye Party for Eddie Dixon. After several months on the Gulf Coast, he was returning to Chicago.Thankfully he and Stefan were able to complete the recording of their album). – Monday Night Jam @ Ben Kaufman’s Irish Coast Pub in Gulfport, MS. (Hosted by Diggs Darcey). ☆ Sat. Oct. 3 – Russell Gulley w/ Dennis Gulley & Britt Meacham @ Jack’s by the Tracks in Pascagoula, MS.
☆ Fri. Oct. 2 – Blue Tupelo @ Jack’s by the Tracks in Pascagoula, MS.
☆ Thur. Oct. 1 – Brennan Roybal @ Leo’s in Ocean Springs, MS.
☆ Wed. Sept. 30 – Deluxe Trio @ Callaghans in Mobile, AL. ☆ Mon. Sept. 28 – The Monday Night Jam Session @ Ben Kaufman’s Irish Coast Pub in Gulfport, MS. (Hosted by Diggs Darcey). – Coleman-Mason Band @ The Juke Joint in Ocean Springs, MS.
– Crazy Uncle @ The Julep Room in Ocean Springs, MS.
☆ Wed.Sept. 23 – Stefan Lawson and Eddie Dixon @ The Juke Joint in Ocean Springs, MS.
– Jimmy Buffett w/ Mac McAnally “Jimmy Buffett Bridge Dedication & Concert” @ Pascagoula Beach in Pascagoula, MS.
– Wes Lee @ Jack’s by the Tracks in Pascagoula, MS.
☆ Thur. Sept. 17 – Della Memoria @ Long Beach Live in Long Beach, MS.
☆ Fri. Sept. 11 – Cary Hudson @ Jack’s by the Tracks in Pascagoula, MS.
☆ Thur. Sept. 10 – Lauren Murphy & Luther Wamble @ Jack’s by the Tracks in Pascagoula, MS.
☆ Wed.Sept. 9 – Uncle Lucious @ Callaghans in Mobile, AL. ☆ Mon. Sept. 7 – The Monday Night Jam Session @ Ben Kaufman’s Irish Coast Pub in Gulfport, MS. (Hosted by Diggs Darcey). ☆Sat. Sept. 5 – Fort Bayou Slim @ The Government Street Grocery in Ocean Springs, MS.
☆ Sat. Aug. 29 – Dr. John & The Nite Trippers | Trombone Shorty & Oceans Avenue | Rosco Bandana “Concert for the Coast” @ MGM Park in Biloxi, MS.
CLICK HERE FOR ARTICLE ABOUT THIS EVENT. ☆ Fri. Aug. 28 – Sugarcane Jane @ The Shed in Ocean Springs, MS.
☆ Sat. Aug. 15 – Grayson Capps & Corky Hughes @ Rolling River Bistro & 408 Listening Room in Natchez, MS.
– Oh Jeremiah @ The Government Street Grocery in Ocean Springs, MS (final set). ☆ Sat. Aug. 13 – Adam Doleac @ Leo’s in Ocean Springs, MS.
☆ Thur. Aug. 6 – Truitt Williams @ Jack’s by the Tracks in Pascagoula, MS.
☆ Sun. Aug. 2 – Grayson Capps & Corky Hughes; Carey Hudson; Rosco Bandana’s Jason Sanford, Jackson Weldon & Zach Fellman; Blackwater Brass; and Paul Kirkland (a charity event) @ The Government Street Grocery in Ocean Springs, MS.
(later stopped by to visit Della Memoria at The Juke Joint in Ocean Springs, MS; their show was over by the time I arrived). ☆ Fri. July 31 – Wes Lee @ Irish Coast Pub in Gulfport, MS.
☆ Thur. July 30 – Sugarcane Jane @ Jack’s by the Tracks in Pascagoula, MS.
☆ Wed. July 15 – Rolling Stones w/ The Districts and Galaxie @ Festival D’ete de Quebec | Plains d’Abraham Fields in Quebec City, Quebec (Canada) The Stones performed on “Bell Stage”, the largest outdoor stage in North America. ☆ Tues. July 14 – The Hello Strangers @ Live Music Ctr in Frederick, MD. – Rosco Bandana’s Jason Sanford, Jenny Flint, Jackson Weldon @ Jack’s by the Tracks in Pascagoula, MS.
– Moonhawk @ Government Street Grocery in Ocean Springs, MS (final set). ☆ Wed. July 8 – The Secret Sisters w/ Deluxe Trio @ Callaghans in Mobile, MS.
☆ Wed. July 1 – Rolling Stones w/ Avett Brothers @ Carter-Finley Stadium Raleigh, NC (the only time this year when I didn’t drive to a show. I actually flew on a Gulfstream Jet from Mobile, AL to Raleigh, NC and back). – (later attempted to make the Della Memoria show at Irish Coast Pub in Gulfport, MS, but failed to make it there on time). ☆ Thur. June 25 – The Flagpole/ Athens Music Awards 2015 @ Morton Theatre in Athens, GA.
– Diggs Darcey & The Monday Night Band “a second show of the week” @ Irish Coast Pub in Gulfport, MS.
☆ Mon. June 22 – Joan Osborne w/ Victoria Canal @ Eddie’s Attic in Decatur, GA (second of two nights of music at Eddie’s). ☆ Sun June 21 – Joan Osborne w/ Victoria Canal @ Eddie’s Attic in Decatur, GA (first of two nights of music at Eddie’s). ☆ Sat. June 20 – Sugarcane Jane w/ Lauren Murphy @ Leslie Mulcahy’s Farm in Lower Alabama. – Joan Jett & The Blackhearts @ IP Casino in Biloxi, MS.
– I saw a couple bands in downtown Ocean Springs following the Joan Jett & The Blackhearts show. ☆ Thur. June 18 – Truitt Williams @ Jack’s by the Tracks in Pascagoula, MS.
☆ Wed. June 17 – Rolling Stones w/ Brad Paisley, Carrie Underwood & Joe Walsh @ LP Field (now Nissan Stadium) in Nashville, TN. ☆ Mon. June 15 – The Monday Night Jam Session @ Ben Kaufman’s Irish Coast Pub in Gulfport, MS. (Hosted by Diggs Darcey) ☆ Sun June 21 – Joan Osborne w/ Victoria Canal @ Eddie’s Attic in Decatur, GA (first of two nights of music at Eddie’s). – Brennan Roybal, Patrick McGinley, Johnny Hozey and Charles Flowers @ Leo’s in Ocean Springs, MS (late show). ☆ Fri. June 12 – Fat Man Squeeze @ Jack’s by the Tracks in Pascagoula, MS – Joan Jett & The Blackhearts @ IP Casino in Biloxi, MS.
☆ Thur. June 11 – Morrissey @ Saenger Theatre in New Orleans, LA. ☆ Tues. June 9 – Rolling Stones w/ St. Paul & The Broken Bones @ Bobby Dodd Stadium in Atlanta, GA.
CLICK HERE FOR ADDITIONAL INFORMATION ABOUT THIS EVENT. ☆ Mon. June 8 – The Monday Night Jam Session @ Ben Kaufman’s Irish Coast Pub in Gulfport, MS. (Hosted by Diggs Darcey). ☆ Sun. 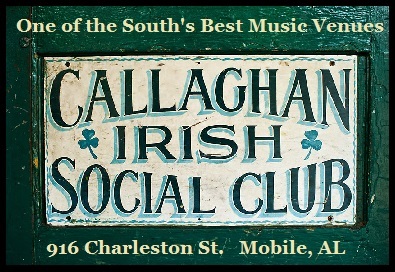 June 7 – Cardinal Sons @ Callaghan’s in Mobile, AL. ☆ Sat. June 6 – Lilly Hiatt w/ Kent Goolsby & Kent Duncan from The Pollies on bass @ The Thirsty Hippo in Hattiesburg, MS.
– Great Peacock @ Callaghan’s in Mobile, AL. – Sugarcane Jane @ Murky Waters in Ocean Springs, MS (later show). ☆ Thur. June 4 – Oh Jeremiah @ Jack’s by the Tracks in Pascagoula, MS.
☆ Wed. June 3 – John Moreland w/ Caleb Caudle ” – American Songwriter Presents” @ Callaghan’s in Mobile, AL. ☆ Sun. May 31 – “Legacy Summer Music Festival” f/ Willie Sugarcapps, Lisa Mills, Chris Spies Oh Jeremiah and Melissa Joiner. ☆ Sat. May 30 – El Cantador “End of an Era, Pt. 2” @ Callaghan’s in Mobile, AL. ☆ Fri. May 29 – El Cantador w/ This Frontier Needs Heroes “End of an Era, Pt. 1” @ Government Street Grocery in Ocean Springs, MS.
☆ Thur. May 28 – Rosco Bandana @ The Government Street Grocery in Ocean Springs, MS.
☆ Wed. May 27 – Deluxe Trio @ Callaghan’s in Mobile, AL. ☆ Thur. May 14 – The Flying Steinway Brothers f/ Zachary Fellman @ Hard Rock Casino (Center Bar) in Biloxi, MS.
– Blue Mother Tupelo @ Jack’s by the Tracks in Pascagoula, MS.
☆ Fri. May 8 – Fat Man Squeeze @ Jack’s by the Tracks in Pascagoula, MS.
☆ Thur. May 7 – Truitt Williams @ Jack’s by the Tracks in Pascagoula, MS.
☆ Sun. May 3 – Grayson Capps, Corky Hughes & John Milham “Power Trio” @ Callaghan’s in Mobile, AL. ☆ Tues. Apr. 28 – Sugarcane Jane (CD Release Party for “Dirt Road’s End”) @ Fairhope Brewing Company in Fairhope, AL. ☆ Mon. Apr. 27 – The Monday Night Jam Session @ Ben Kaufman’s Irish Coast Pub in Gulfport, MS. (Hosted by Diggs Darcey). ☆ Sat. Apr. 25 – Jeff Thompson, Eddie Dixon & Rosco Babndana @ Irish Coast Pub in Gulfport, MS.
– Band of Heathens @ Callaghan’s in Mobile, AL. – Grayson Capps & Corky Hughes @ Murky Waters in Ocean Springs, MS (final set). ☆ Thur. Apr. 23 – Billy Joe Shaver @ The Blue Canoe in Tupelo, MS.
☆ Wed. Apr. 22 – Ross Newell & Dale Drinkard, Jr. @ The Bluegill in Spanish Fort, AL. ☆ Mon. Apr. 20 – The Monday Night Jam Session @ Ben Kaufman’s Irish Coast Pub in Gulfport, MS. (Hosted by Diggs Darcey). ☆ Sun. Apr. 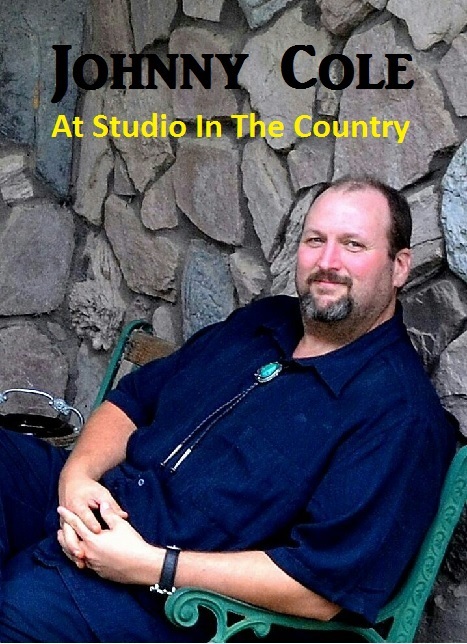 19 – The Frog Pond at Blue Blue Moon Farm “Season Finale” with Willie Sugarcapps and guest Luther Wamble. – Grace Askew @ The Shed in Ocean Springs, MS (first show of the night). – Grace Askew @ The Julep Room in Ocean Springs, MS (second show of the night). ☆ Fri. Apr. 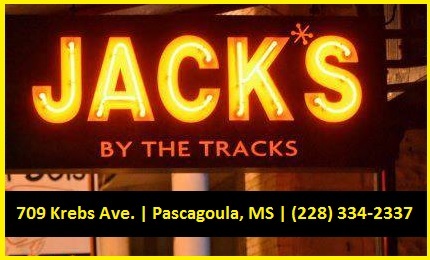 17 – Joe Cat (from Athens, GA) @ Jack’s by the Tracks in Pascagoula, MS.
☆ Thur. Apr. 16 – Molly Thomas & The Rare Birds @ Jack’s by the Tracks in Pascagoula, MS.
☆ Sat. Apr. 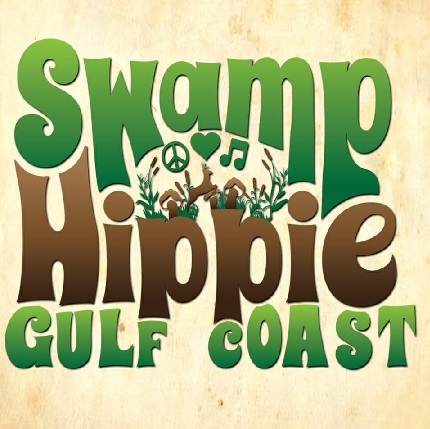 11 – Willie Sugarcapps & The Mulligan Brothers @ Magnolia Springs Seafood Festival in Magnolia Springs, AL. ☆ Thur. Apr. 9 – Rosco Bandana w/ Eddie Dixon @ The Hard Rock Cafe in Biloxi, MS.
☆ Mon. Apr. 6 – The Monday Night Session @ Ben Kaufman’s Irish Coast Pub in Gulfport, MS. (Hosted by Diggs Darcey). 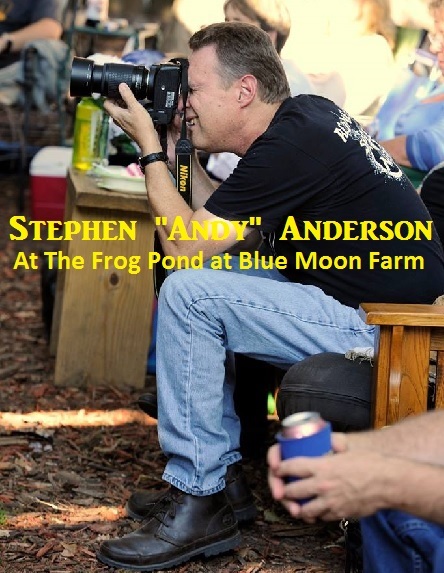 – The Frog Pond at Blue Moon Farm in Silverhill, AL with Grayson Capps, Corky Hughes, Sugarcane Jane, Cary Laine & Dylan LeBlanc. – Art Hedgepeth & Britt Meachem @ Blues Tavern in Mobile, AL. – Andrew Ellis @ Jack’s by the Tracks in Pascagoula, MS (early set). – Diggs Darcey @ Venue on Bienville in Ocean Springs, MS.
– Fat Man Squeeze (with guest Jackson Weldon) @ Government Street Grocery in Ocean Springs, MS (final set). – Nikki Talley and Jason Sharpe @ Jack’s by the Tracks in Pascagoula, MS.
– Della Memoria @ Irish Coast Pub in Gulfport, MS (final set). ☆ Thur. Apr. 2 – The Swans @ Vinyl Music Hall in Pensacola, FL.